As we finally break free from winter’s grasp, let’s take a look at the state of the market for February. The market tends to slow down in the winter months due to holidays and inclement weather; once the weather starts warming up in mid to late March, we tend to see higher levels of activity. This year we were treated to a few days beyond the historical average with one day reaching 67 degrees in mid-February. Much like the weather the market saw above average numbers in comparison to February last year. The most significant highlight was pending contracts. Pending contracts remain the only true indicator of future business saw, in February they saw moderate to strong growth. “The big story in February 2019 is pending contracts. In the spring we see the market heat up, these numbers establish a positive indicator of what we can expect in the coming months,” explained Jamie Mancuso, CEO of Coldwell Banker Hearthside. 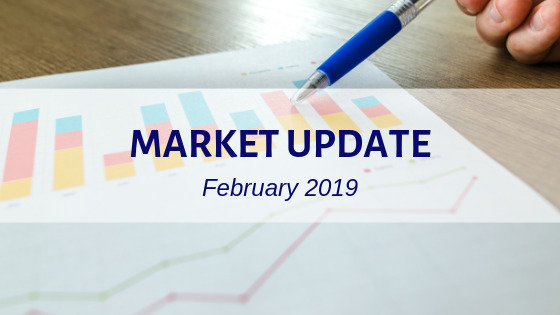 Take a look at the February Market in February 2019 in comparison to February 2018. “Another positive indicator is sold units particularly in Bucks County, where market trends elevated to a two-year best,” stated Mancuso.